Last week was a busy week for me as I attended not one, not two but THREE events on top of having a rather demanding baby who simply did not want to nap at all last week. It was safe to say by Friday I was totally burnt out. This week I am feeling a bit under the weather but at least baby is willing to nap! 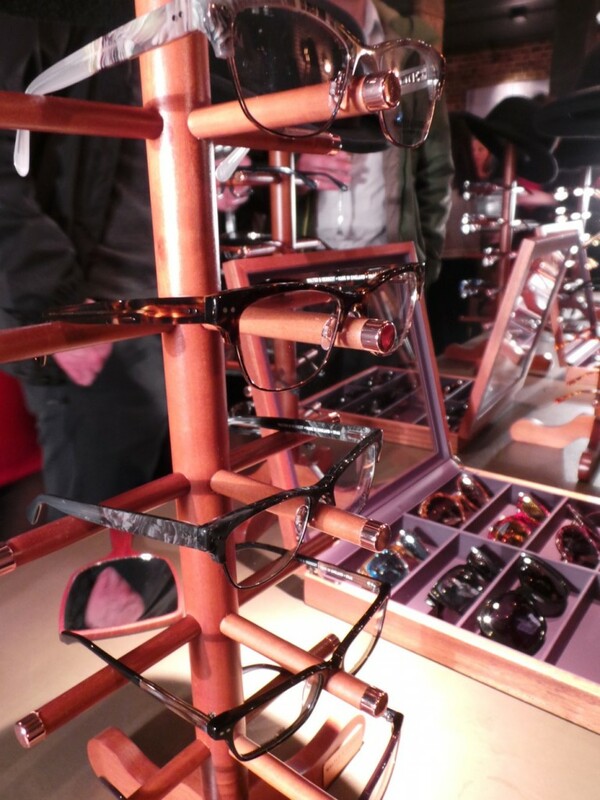 So last Monday I attended the launch of Walter & Herbert eyewear and for those of you who are in the optical industry (or just love eyewear) then you may be familiar with the name already. Manufacturing Company and developed the PIMO machine which shaped the way glasses were being manufactured. 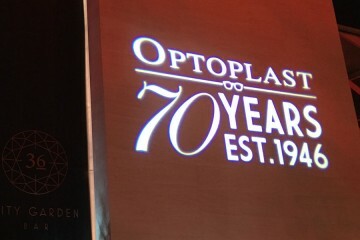 So this brand has indeed got a lot of industry knowledge and the history to back them up. 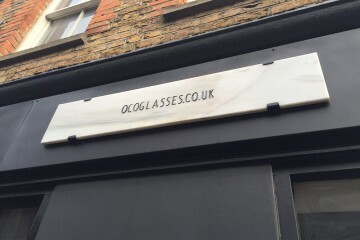 Personally I do like a brand with a bit of substance to back the frames up. So… the all important question… What did I think? On first impression before I started to play around with them I was impressed. The colours of the acetate were strong and pretty striking too so that really got my attention. The acetate is of course all sourced from Italy (because they are the best) and they all have good hinges… you know we are onto a winner. From playing around with the glasses you can definitely tell they are not your average “run of the mill” frames. The acetate felt silky smooth and there are many nice little details too which make them really special. For me my favourite detail was the bowler hat (which is the company’s logo) at the tip of the arm. It’s not overly obvious but I think tiny details like this make the frames what they are. I think one of my favourite things about this brand is that everything is made in England. By everything I don’t just mean designed in the UK or “assembled in the UK”. There is a different between made and assembled. Assembled to me literally means “most part are made somewhere else (probably China) then a screw gets screwed on in the UK and ta-daaa “assembled in UK”, it is just clever wording. 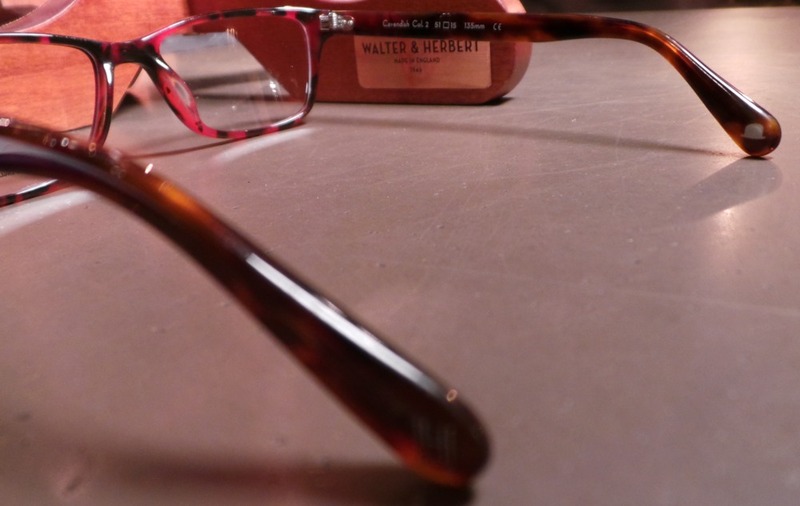 However I can assure you guys that Walter & Herbert frames are 100% made in England because they are made in a factory in Liverpool. Not that many products are made in the UK now so this is a truly a great selling point for the brand and I know some of you are probably thinking… “ok, made in England, they must come with an expensive price tag”. Well… actually. No, not at all. The frames start from £200 which I know may not be suitable for everyone’s budget BUT one thing I can assure you is that you will be getting your money’s worth because the quality is there to back up the cost.